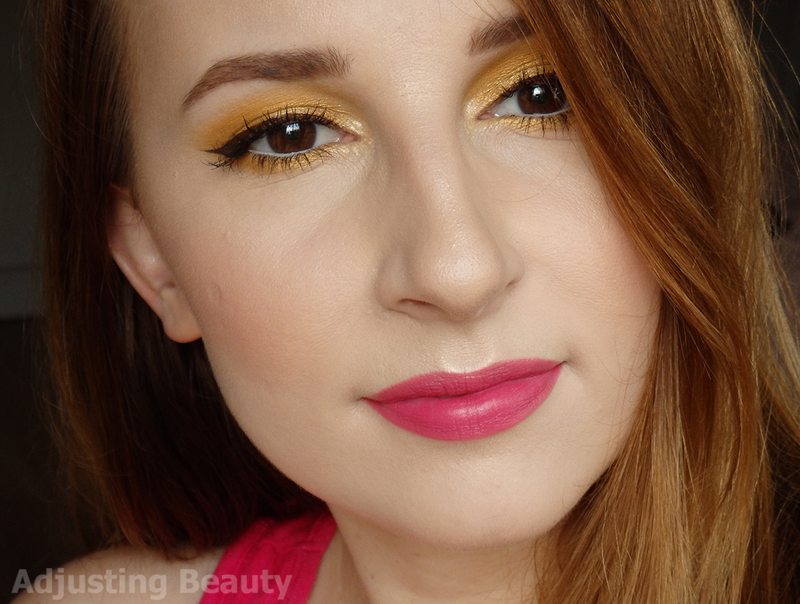 I've seen a few makeup looks with bright yellow eyeshadow and decided that I definitely need to try it out. I love a good colorful eye makeup and summery weather that we have in Slovenia calls for just that. Sometimes vibrant colors can look intimidating, but paired with the right face makeup and lipstick, I think they can look very wearable too. 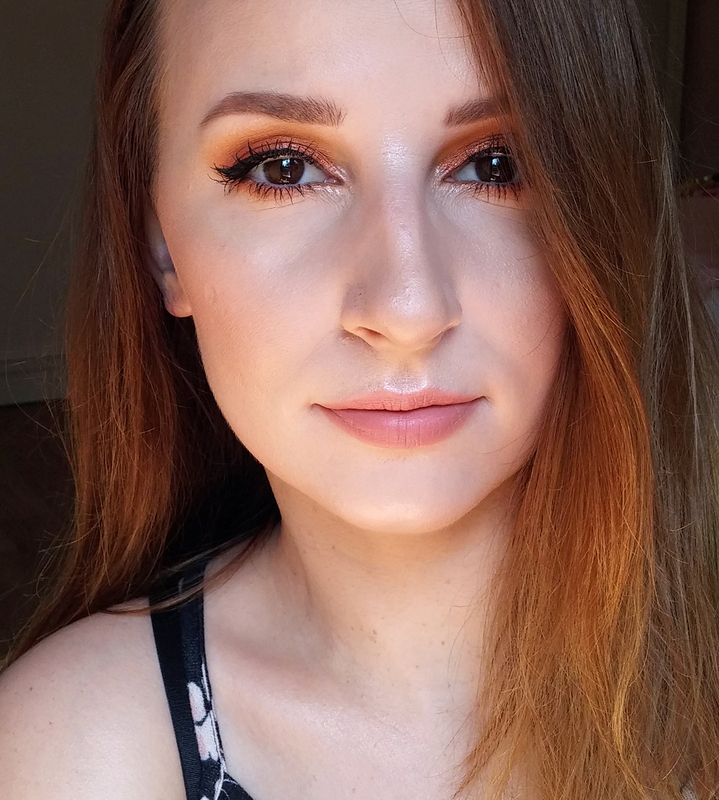 I called the look Tropicana, because it just had that kind of tropical vibe to it, plus that is also a brand that makes orange juice which is pretty much what I tried to make my eyes look like. 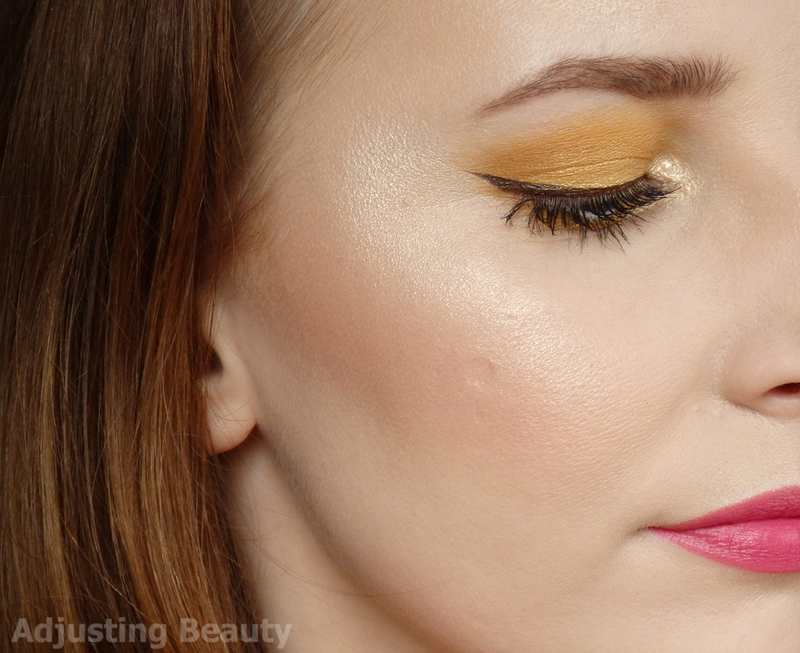 Across the entire lid and in the crease I applied a bright yellow matte shade. 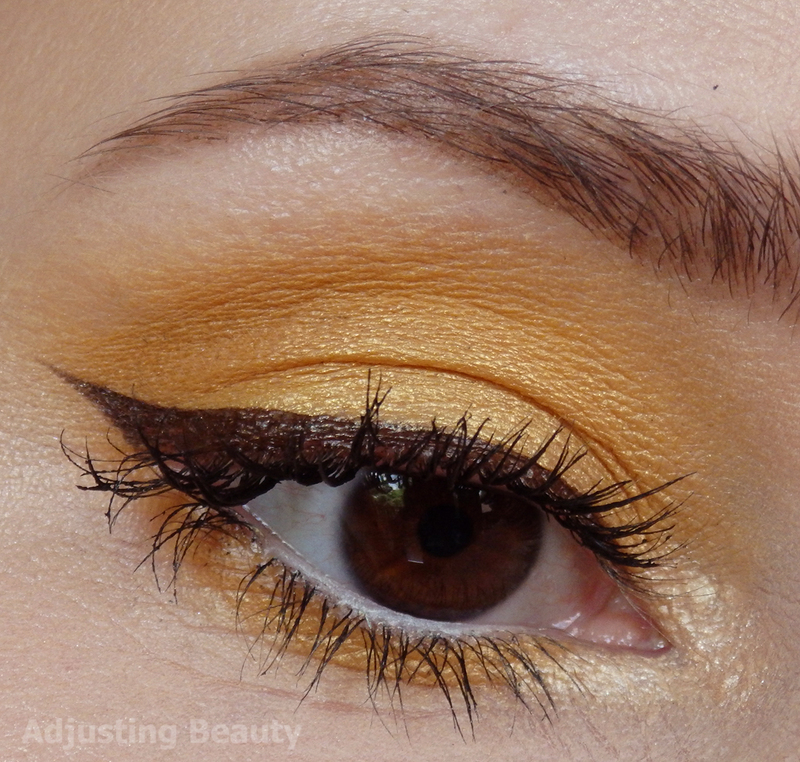 Then I took a more caramel warm matte shade and applied it in the crease as well as on the outer corner of the eye. On the lid I applied shimmery yellow shade. Because of the yellow being a bit lighter, I decided to do brown winged out liner instead of black. It just keeps it more soft looking, although I definitely needed some definition. I applied the same shades on the lower lid as well. Instead of falsies, I applied lots of mascara for nice definition and some volume. In the inner corner I applied shimmery yellow pen and over it a champagne highlighter for that pop of brightness and shine. On the lower inner rim of the eye I applied pale yellow white pencil to make my eyes look bigger and brighter. On the rest of my face I used a mix of foundations and BB cream, higher coverage concealer and transluscent powder. I contoured a bit under my cheekbone and applied darker yellow toned powder as my bronzer to tie it all together with the yellow tones. 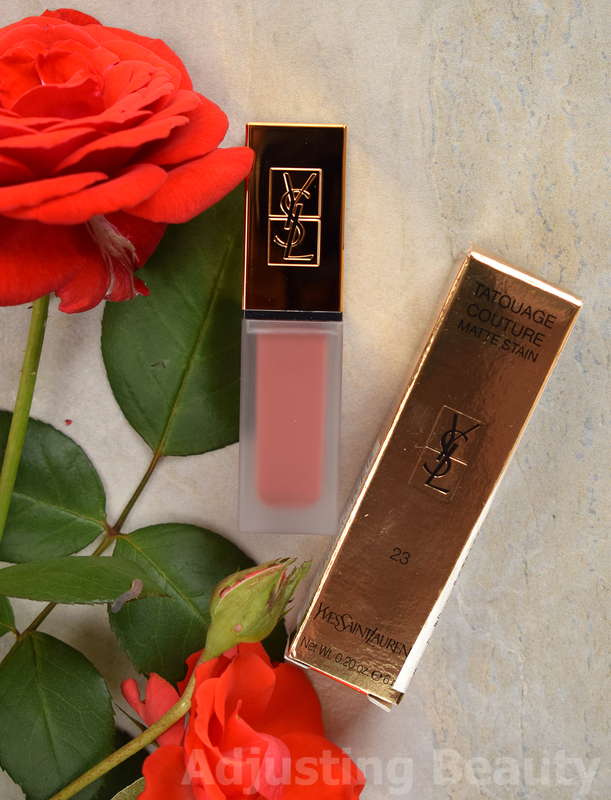 For a highlighter I chose champagne shade that has that golden sheen to it. Blush is lovely pink shimmery shade with golden highlights. I outlined my lips with a pink lip liner and applied muted pink shade. 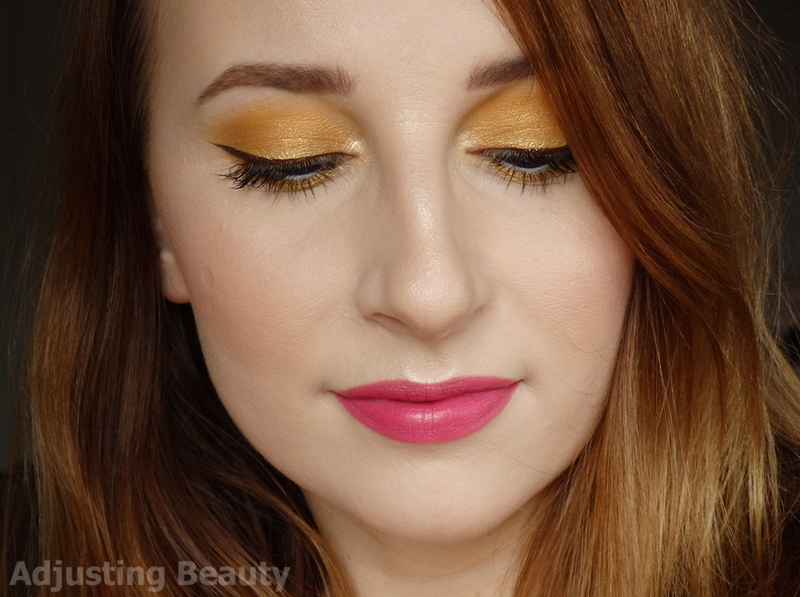 Pink lipsticks just look so good with yellows. I could also chose pinky red, but I decided to go for a more lighter shade. 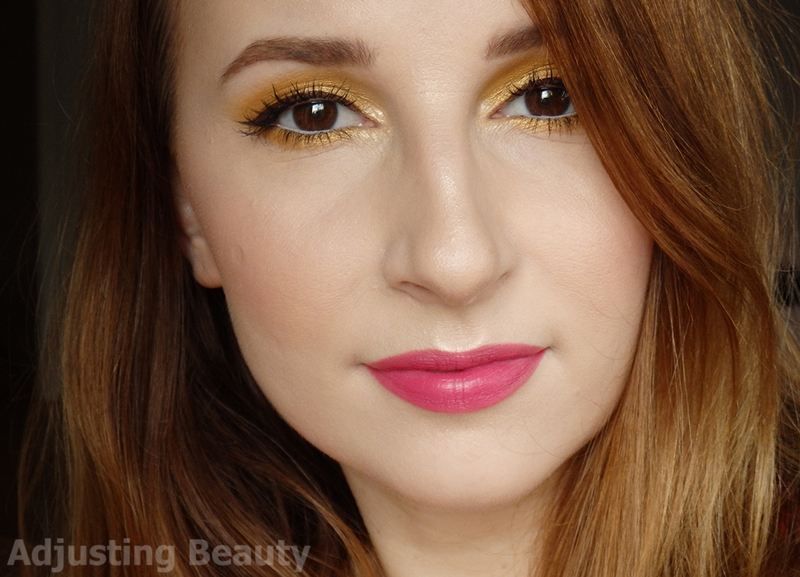 Did I convince you that bright yellow can look wearable on the eyes? I am a true lover of warm tones, so this is right up my alley and I'll definitely repeat this makeup look again. Next time maybe with an even bolder lip choice or darker for that matter. Hvala Vesna :) <3 No če si že pri oranžni, potem bo prehod na rumeno čisto enostaven :D. Tebi bi zagotovo rumena še bolj pasala, ker imaš predvidevam malo temnejšo polt od mene. Za poletje je vedno fajn eksperimentirat z barvami, se takoj počutiš bolj živahno :).